Nurse led clinics are run for all age groups, to monitor treatment, check inhaler technique and improve knowledge of the condition. We are now running additional asthma clinics to ensure eveyone is receiving the best possible care. Please ring to book. Please bring in your children for their immunisation programme. Appointments are either pre-booked through your baby clinic or you can book direct. IF you have any concerns about specific vaccines please call in to speak to the nurse or one of the GPs. Local guidelines recommend all women have a smear every three years. All appropriate patients will be called to the surgery when due. We offer a full well woman clinic every Wednesday from 1.00pm until 3.45pm. If you do not want your smear undertaken at the surgery we can provide you with details of other clinics in the area. Clinics are run at various times during the week to have these checked for your own peace of mind or as referred by your doctor. 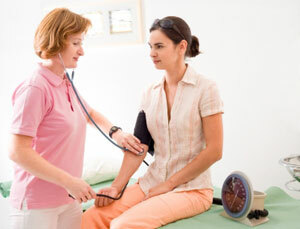 Even healthy people should periodically have their blood pressure checked. Our nurse runs the child clinic each Wednesday morning from 10.00am. 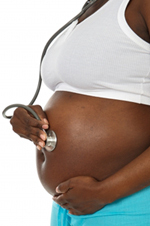 You will be called into the clinic when checks and immunisations are due. Appointments are available to all diabetic patients to monitor and control your condition. You will be referred to the clinic by either the hospital or the doctor. Both doctors offer contraceptive advice and pill prescriptions etc. Our nurse and doctors offer regular checks to monitor condition and effectiveness of treatment and to give advice. Our nurse will offer advice and information and has stocks of leaflets to give out. Patients who have suffered a stroke can attend to receive advice and have checks performed by our nurse. This service is available to all patients. Please book an appointment with the nurse who will give advice and explain what is needed for destinations around the world. 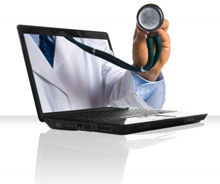 We can provide a range of non NHS servicessuch as pre-employment medicals for HGV, PCV, taxi etc. When booking the appointment, it is important that you explain to the receptionist that it is for such an examination, as more time is needed than for a routine appointment. If you are suffering from long term or have recently been diagnosed with rheumatoidarthritis. please click on the link below for useful tips on how to manage this and the treatments that are available. It is important to make the initial appointment as early as possible - at least 6 weeks before you travel - as a second appointment will be required with the practice nurse to actually receive the vaccinations. These vaccines have to be ordered as they are not a stock vaccine. Your second appointment needs to be at least 2 weeks before you travel to allow the vaccines to work. For any illness lasting longer than seven days you will need to see the doctor for him/her to issue a sickness certificate (F.med3) and for any subsequent renewal of the certificate. If your employer insists on a sickness certificate for 7 days or less a charge will be levied. As a surgery we would like to hear your views about the practice. By joining our PPG it gives you an opportunity to share your thoughts and work along side us to help improve the surgery and the service we provide. If you are interested in join our PPG, please ask a reception. With the winter season now upon on us, people with start showing symptoms of common colds. If you are suffering from any of the symptoms listed below please consult your local pharmacist first as they can assist you. Most common colds can be treated with over the counter products but if you find this doesn't help, you will need to seek medical attention form your GP. Slight body aches or a mild headache. We will begin the flu vaccinations as soon as they arrive, we are hoping to start in September and run clinic throughout September till November. During October our clinics will be running on a Tuesday 3pm till 5pm, appointments only. If you are eligible for the flu jab then please contact the surgery to make an appointment. please see below for eligible under the NHS. Anyone in these risk groups is more likely to develop potentially serious complications of flu, such as pneumonia (a lung infection), so it's recommended that they have a flu vaccine every year to help protect them. If your child is aged between 6 months and 2 years old and is in a high-risk group for flu, they will be offered an injected flu vaccine as the nasal spray is not licensed for children under 2. Talk to your GP, practice nurse or pharmacist for more information about these vaccines. Find out more about who should have the flu vaccine. You are eligible for the flu vaccine this year (2018/19) if you will be aged 65 and over on March 31 2019 – that is, you were born on or before March 31 1954. So, if you are currently 64 but will be 65 on March 31 2019, you do qualify. Some community pharmacies now offer flu vaccination to adults (but not children) at risk of flu including pregnant women, people aged 65 and over, people with long-term health conditions and carers. If you have your flu vaccine at a pharmacy, you don't have to inform your GP – it is up to the pharmacist to do that. How effective is the flu vaccine? Flu vaccine is the best protection we have against an unpredictable virus that can cause unpleasant illness in children and severe illness and death among at-risk groups, including older people, pregnant women and those with an underlying medical health condition. Studies have shown that the flu vaccine will help prevent you getting the flu. It won't stop all flu viruses and the level of protection may vary, so it's not a 100% guarantee that you'll be flu-free, but if you do get flu after vaccination it's likely to be milder and shorter-lived than it would otherwise have been. There is also evidence to suggest that the flu vaccine can reduce your risk of having a stroke. Over time, protection from the injected flu vaccine gradually decreases and flu strains often change. So new flu vaccines are produced each year, which is why people advised to have the flu vaccine need it every year too. Read more about how the flu vaccine works. Serious side effects of the injected flu vaccine are very rare. You may have a mild fever and aching muscles for a couple of days after having the vaccine, and your arm may be a bit sore where you were injected. Side effects of the nasal spray vaccine may commonly include a runny or blocked nose, headache, tiredness and some loss of appetite. Read more about the side effects of the flu vaccine. How safe is the flu vaccine? The flu vaccines used in the national programme have a good safety record. The best time to have a flu vaccine is in the autumn, from the beginning of October to end of November, but don't worry if you've missed it, you can have the vaccine later in winter. Ask your GP or pharmacist. Each year, the viruses that are most likely to cause flu are identified in advance and the World Health Organization (WHO) recommends which type of flu virus strains to include in the vaccine. Is there anyone who shouldn't have the flu vaccine? Most adults can have the injected flu vaccine, but you should avoid it if you have had a serious allergic reaction to a flu vaccine in the past. 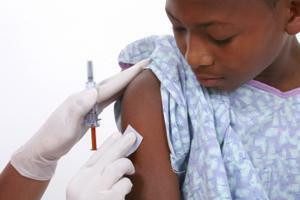 Read more about who shouldn't have the flu vaccine. You can find out more by reading the answers to the most common questions that people have about the flu vaccine. Please remember to book for your annual reviews on your birthday month and also book to have your medication reauthorise when you notice your repeats have reached the last but one repeat. This will ensure reviews and medication are dealt with efficiently and safely. If you forget to book your appointment, as the practice will send out reminders to all patients the month before you are due to have your annual reviews.